According to the United States Department of Transportation, over 500,00 truck accidents happen every year. Trucks are known for their size and weight, and a result of that, accidents involving trucks are often fatal. It’s rare for a person involved in a truck accident to get out with only bumps and bruises. Because most of the time if you are lucky to live, you’ll most likely have an injury which includes amputation, disfigurement, paralysis, or a traumatic brain injury. In this article, we’ll discuss the most common types of truck accidents and how to deal with them. Here are the most common types of truck accidents that can happen on the road. Blind spot accidents. Blind spot accidents are if a truck driver fails or is unable to see other vehicles changing lanes. These can put other vehicles in serious danger once they get hit by the truck because they could either get crushed or forced off the road. Jackknife accidents. Jackknife accidents usually involve tractor-trailers. If a truck driver suddenly pulls his brakes fast and hard, it can jackknife the vehicle. The trailer will skid outward and cause a 90-degree angle along the frontal part of the vehicle’s cabk or tractor which can hit other vehicles along the way. Truck rollovers. 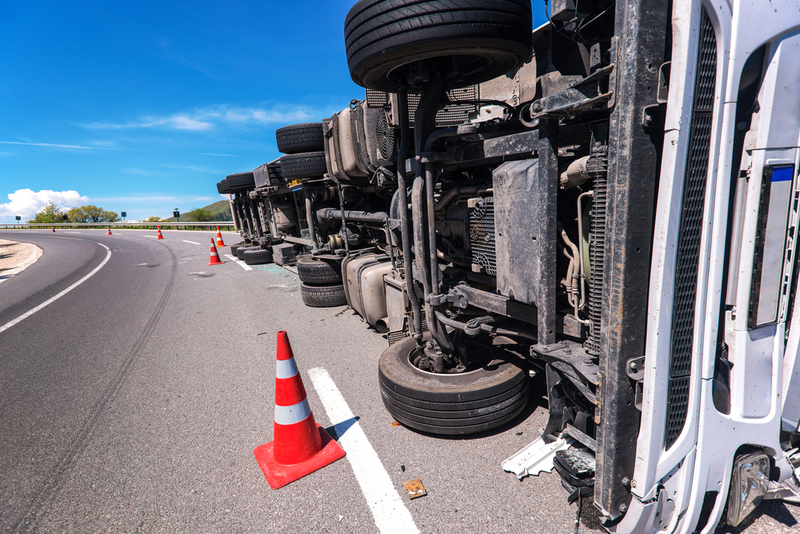 Truck rollovers happen when the the truck driver finds himself unable to control the vehicle and slides on the road causing it to roll over on its side. Tire blowout. If one or several tires of the truck suddenly blows out, which can result in catastrophic consequences to the vehicles behind and on the side. Wide turns. These accidents can happen when a truck driver suddenly makes a left swing while turning right, which can hit other vehicles to its right crushing them between the sidewalk and the truck. Rear-end collisions. Other vehicles crashing into the rear-end of a truck can lead to catastrophic injuries, various degrees of property damage, and loss of lives. Underride. If a driver stops suddenly, smaller vehicles behind the truck can end up being lodged underneath it. Underride accidents are one of the deadliest types of truck accidents. Lost load. Unsecured loads from a truck can fall onto the road, which can put other vehicles in extreme danger. Lost loads can also cause a multi-vehicular accident, especially on a freeway. Head on collision. Over 98% of head collisions involving trucks have resulted in the death of both drivers involved in the crash. T-bone. T-bone accidents happen when a truck drivers speeds over a traffic light clearly on red. There’s a possibility that the truck can collide with the side or another vehicle, or cause a vehicle to crash into the side of a truck head-on. How to Deal With Truck Accidents? Truck accidents are tough to deal with, especially for an ordinary individual. A truck driver can get himself in deep trouble if he is involved in a crash, but they usually have their company to back him up. But for the innocent individuals who were involved in the accident, there’s a lot to deal with. From medical bills to vehicle repairs, it’s certainly tough to recover from a truck accident. Here’s how to deal with truck accidents. Rely on insurance. The first option you have to recover from the accident is to rely on insurance. If the truck driver is at fault, their insurance provider will have to pay you. 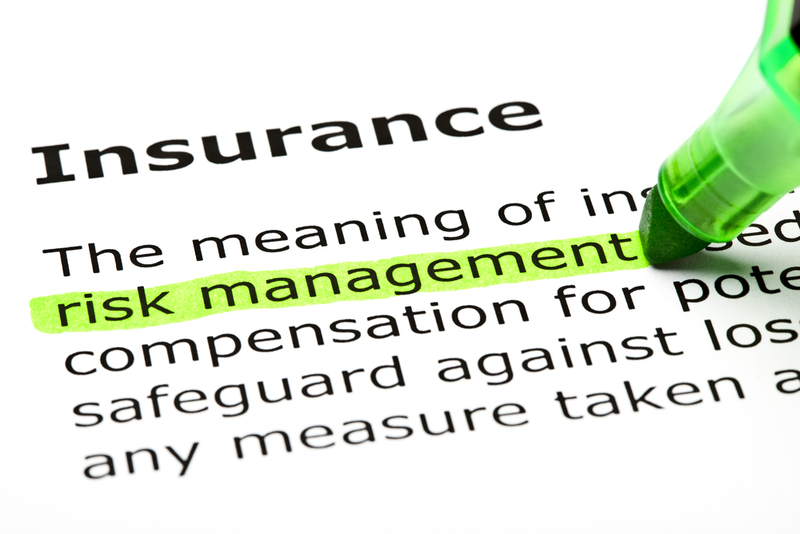 Your insurance company can also go after the trucking company’s insurance provider to ensure that they will give you proper compensation. Hire a truck accident attorney. To ensure that you get compensation for the damages from the accident, you can hire a truck accident attorney to help you seek justice. Truck accidents can prove to be difficult to deal with financially and medically. When you add the complex legal issues to the table, it’s easy for anyone involved in a truck accident to be overwhelmed. This is why you must have a truck accident attorney on your side to help you deal with the legal aspect of truck accidents. Click here to get a truck accident attorney to help you with your case so you can get your life back after the accident. 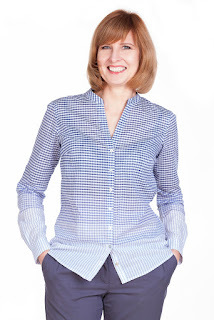 Sylvia Johnson has more than two decades’ worth of experience writing under the business niche, where it’s her passion to be able to teach and inform others of things that are happening in both the business and legal realms. She writes about the legalities of various situations from a practical perspective, and as a writer for Dolman Law Group (Injured by Trucker) she tries her best for her works to be both entertaining and enjoyable for readers.